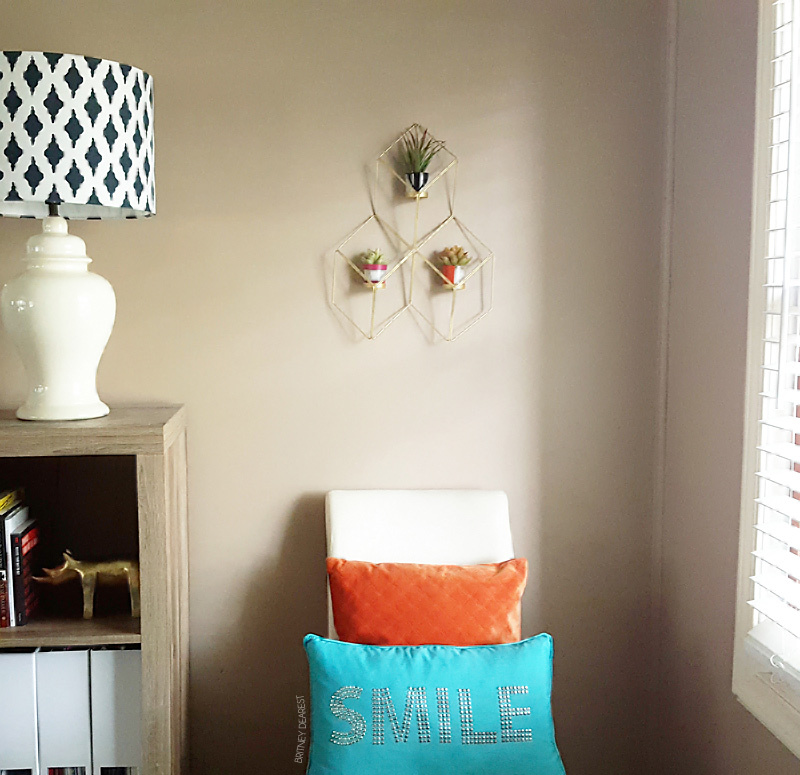 Earlier this year I purchased two geometric votive candle wall sconces from Hobby Lobby for about $11 each. I was excited to get them home and hang them only to get home ad realize I didn't know where on my wall to place them! While waiting (months) to find their home on my walls I decided that I didn't want to add candles. I need color so I knew I wanted to spray paint the votive holders. I purchased a succulent plant over the summer and mo matter how much I read and tried to keep it alive unfortunately, my efforts were unsuccessful. It shriveled and gave up the ghost. Following that traumatizing experience I decided that no matter how much I hate artificial plants, artificial succulents would probably be best for me. Considering my love of color and plants, I came up with the idea to add artificial succulents, instead of candles, to the sconce and it actually turned out better than I expected! For this DIY you will need everything shown in the image below. *Prior to adding the sand I spray painted the votive holders. >>Remove the plants from the pots. Be sure to remove as much of the excess Styrofoam from the stem as possible. 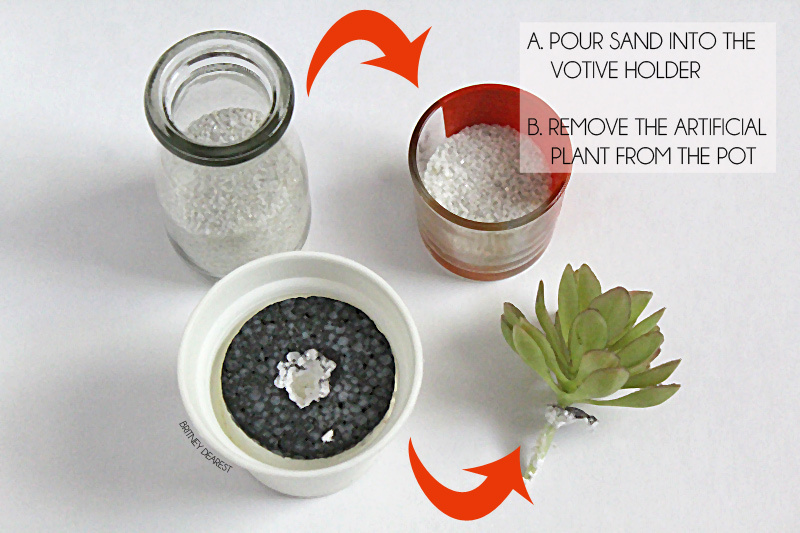 >>Pour sand into the votive candle holder. 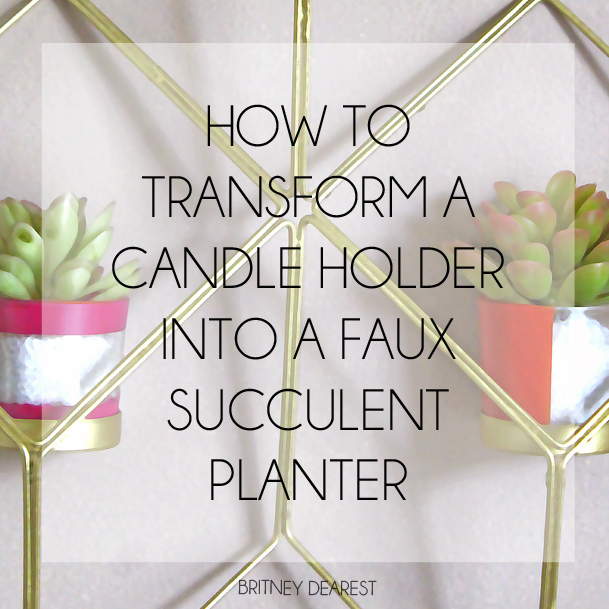 (For real succulents add rocks at the bottom of the candle holder and a mix of soil and sand to place the stem of the succulent into). >>Place the stem of the plant inside the sand. Viola! You have a masterpiece. Below, you'll find my placement of choice. Another will be placed on the other side of the cube shelving above a fur covered vanity bench. 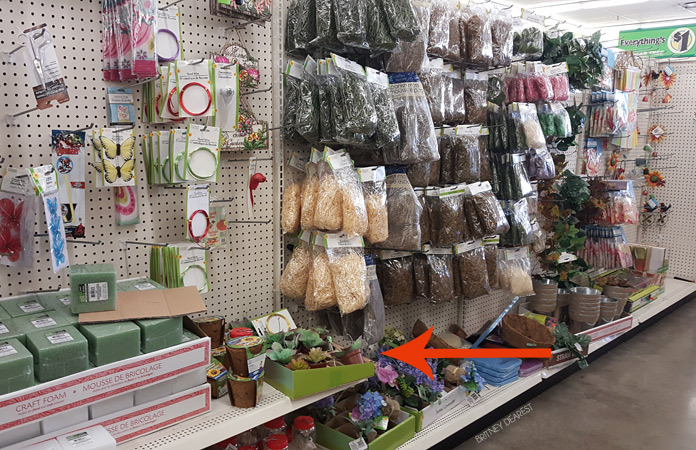 For affordable artificial succulent plants and sand visit your local Dollar Tree. This is so cute! 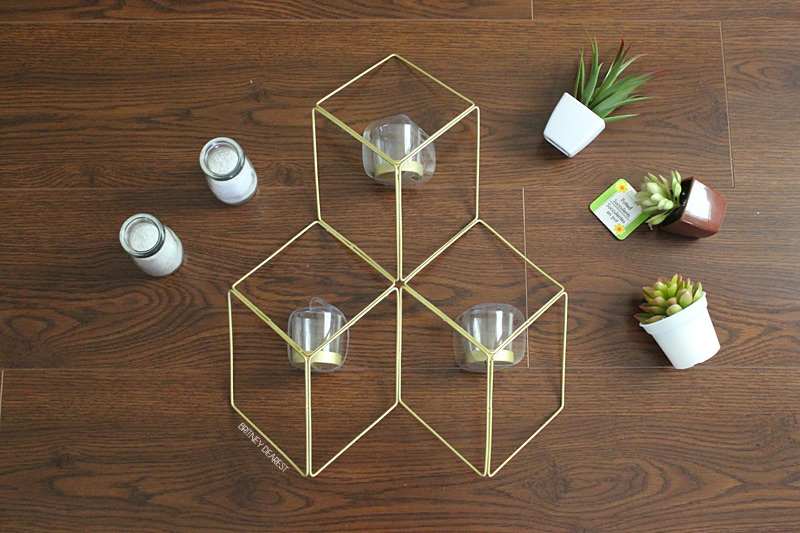 I love the idea of using it for succulents instead of candles, super chic and modern! This is so cute ! 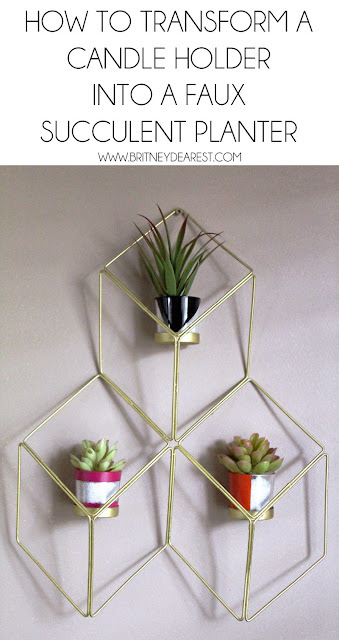 Succulents are everywhere these days, very hip & on trend ! This is so cute! I wish I was crafty!